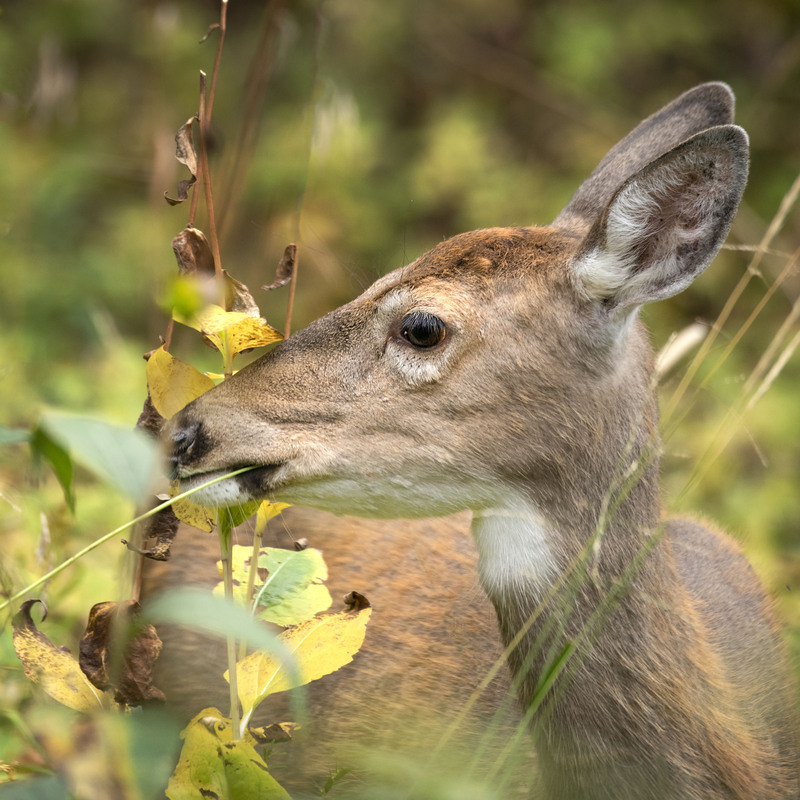 Usually when we see a White Tailed Deer on the the trail they are a bit more skittish than the Mule Deer we encounter but on this day a White Tailed Doe walked along in the same direction we were going keeping her distance but foraging away unalarmed. We also noticed that while the mule deer in our area are turning much grayer right now the while tailed deer seem to be getting a rusty red color to their coats. HI Paula, yes she was a somewhat demure and slight of build doe yet happy to let us walk along the trail with her. Have a wonderful weekend.